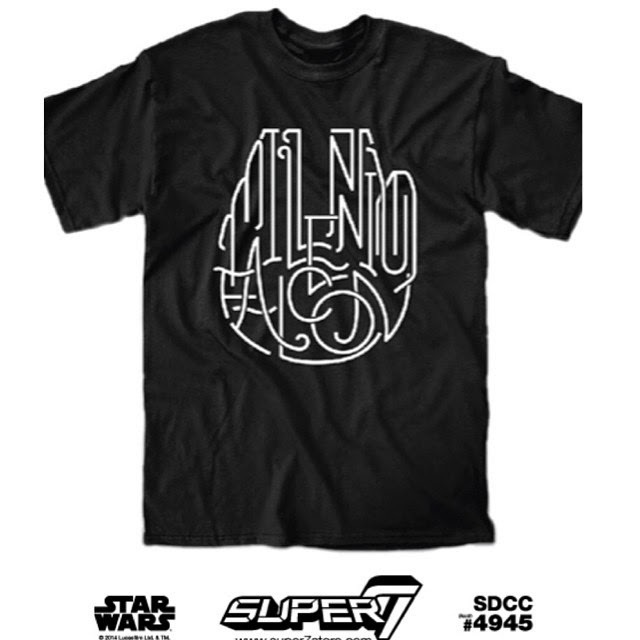 This Millennium Falcon tee by Super7 was initially offered out as an exclusive for SDCC. Its pretty cool the way they’ve printed the Millennium Falcon words into shape. They’re available here for $35. I think i’ll wait on ordering as postage to the UK can be a little high. This entry was posted in Tee Shirts, Things that i don't have yet... and tagged Millenium Falcon, Millennium Falcon, Star Wars, Super7. Bookmark the permalink.